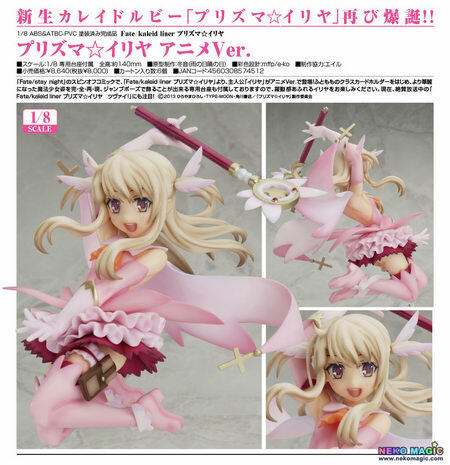 September 4th, 2014 By: GGT Category: 2015/04 release, Figure News. Phat! 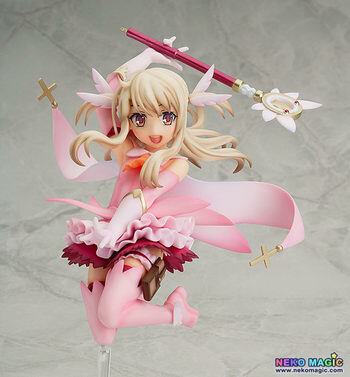 company is going to release the Prisma Illya ( プリズマ☆イリヤ ) Anime Ver. ( アニメVer. ) 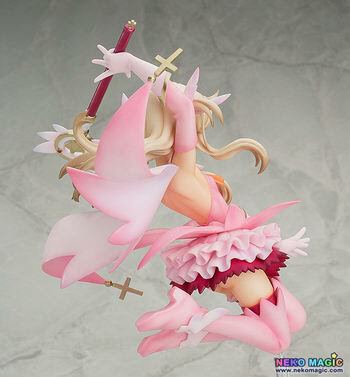 1/8 PVC figure from the manga/anime “Fate/kaleid liner Prisma Illya” (Fate/kaleid liner プリズマ☆イリヤ ), a spin-off “Fate/stay night” ( フェイト/ステイナイト ). Will be released April 2014. Around 140mm tall, 8,000 yen. 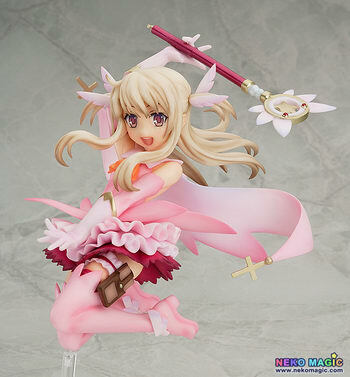 Prisma Illya, the reborn ‘Kaleido Ruby’ is back again! From the spin-off manga of ‘Fate/stay night’ with its second anime season currently airing, ‘Fate/kaleid liner Prisma Illya’ comes a 1/8th scale figure of the main character Illya based on the designs from the anime series! Everything about her magical girl outfit has been faithfully included on the figure, down to the Class Card holder at her hips! A special base is also included allowing you to display her jumping through the air – a dynamic pose that fans of the series are sure to enjoy!